There are about 45,000 Gigabytes of internet traffic around the world every second. That is over 7,500 Tweets, 750 Instagram photos, and 1,250 Tumblr posts. In just one brief second. Try to multiply this by 86400 seconds in a day, 365 days a year. And keep in mind that these numbers increase exponentially each year. This medium offers huge potential! Internet users post their opinions, suggestions and questions regarding businesses on a daily basis. Typically, these discussions take place off the brands’ official channels. It’s worth knowing about these discussions as a way to influence public opinion. There are many benefits to tracking forums, blogs and online communication channels per se. Firstly, it allows access to the discussions on the chosen subject, public suggestions and reservations. Thanks to that, your brand can become more consumer-friendly, bringing new fans, clients or users. We live in a world of data oversupply, with information continuously coming at us from all directions. We’ve got to face this overflow and put our brand on the map skilfully. Stand out or die – they say! Potential clients nowadays spend more time on social media than watching TV or reading the newspaper, and marketers face multiple challenges, including communication channels disruption and sourcing ways to target with an outstanding message. Ideally, you would simply prepare and launch brand promotion aimed at existing potential clients, where the target is engaged and people ask direct appropriate questions: where people of all the age groups and each gender meet, those who have expendable income and those in search of budget cuts. Regardless of financial potential, they all have a chance to stand out; where people create connections through billions of computers. The internet. Audit of brand image, or how your brand is perceived on the internet, is a keystone to creating communication strategy and a means to measure company success in marketing. Since almost 90% of our clients use the web, it’s almost impossible not to use monitoring to analyze communication activities. Evaluating what you do and drawing the right conclusions can become a guarantee that you are on the right track when it comes to marketing. Internet monitoring allows you quick access to discussions about your brand, the portals, forums and web pages on which your brand enjoys the most mentions. Maybe your company is discussed on Twitter, local forum or specific Facebook groups. You can know for sure in just a few clicks within SentiOne. What else? Locate charts, pictures and mentions in time, which may be very helpful to your business; Learn when people mention your brand the most. Thanks to this data, you can get precise information on which of your marketing activities generate buzz online, which event, advertisement or promotion was discussed online. On top of that, each mention collected with SentiOne is a link allowing you to become acquainted with its author and full contents, the system automatically detects the author’s gender, based on language analysis, which helps to specify your target group. Auditing your brand with internet monitoring is especially useful as it gives precise information on internet users’ views of your brand. Authentic and spontaneous insights are a reliable source of recommendations and suggestions. Filtering mentions by sentiment may become highly useful in creating a SWOT analysis or setting up the USP (unique selling point). You can also make good use of information collected with monitoring while launching new campaigns or tracking and analyzing resultant effects. Measuring the effectiveness of your online activities allows you to access which social channels are worth your attention. 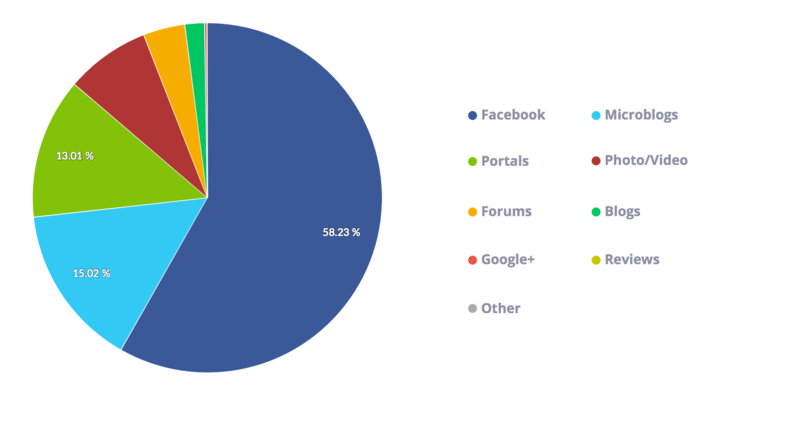 What are the most popular items of internet monitoring? Social media plays a major part in our everyday lives, both privately and professionally. We habitually scan the official fan-pages on Facebook or websites providing user-generated content such as reviews (e.g. zomato.com or tripadvisor.com), which constantly invite us to share opinions. We tend to rather check other people’s comments on social profiles, and these authentic and summarised consumer opinions become a key ingredient in our commercial decisions. If you keep misusing the potential of the web, you could find yourself in a sudden crisis situation facing real financial issues. Any company may experience a brand image crisis, for unpredictable reasons which may have been seemingly insignificant in the first place. One discontented employee, unsatisfied client or unfortunate word choice may unleash a huge storm online. What’s more, these discussions do not always start where we’d like them to, under the company’s control (e.g. a Facebook profile). Online conversations also occur on outside channels that are taken care of by the company, in which case monitoring is the only way to find these threads and address the issues. Many companies try to be constantly aware of how their brand is actually perceived. The truth is, disappointed clients are more likely to post photos or criticisms online. Internet monitoring allows you to identify potentially malicious posts before they’ve had occasion to greatly injure the brand’s reputation. Regardless of whether the post was on social media, in a comment or in a forum discussion, a monitoring tool is worthwhile for tracking reviews and comments regarding your brand and reacting to them, especially the less favourable ones. 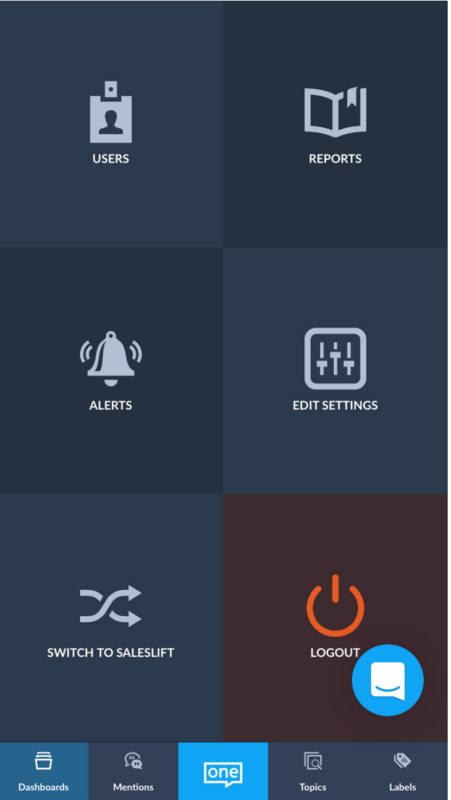 SentiOne enables customizable critical alerts that are sent via email (immediately after the system marks specific mention as negative in real time). A mobile app also keeps you attuned to the goings-on, with push notifications which allow you not only to localize negative mentions immediately, but also check their reach and, most importantly, respond straight from the tool. It’s fair to assume that your competitors already monitor the market, and you can too. Analyze news, discover repeated troubles in the field or the issues experienced by your rivals’ clients. Drawing conclusions based on others’ mistakes is definitely less painful than learning on your own. With competitive monitoring, you can get the perspective and learn about widespread market-based threats–, both local and foreign. You can address upgrades to your product based on the suggestions of your competitors’ clients. In this way, you can learn good practices that are worth implementing in your own company. Tracking the buzz generated by your competitors around the launch of a new product allows you to see and use the potential of new trends. How do I start competitor monitoring? Firstly, prepare a topic that applies to the whole industry. This will effectively identify your competition and their online activities (which social channels they use – Facebook, Twitter, blog). Knowing your competitor’s current situation gives perspective on field-related tendencies. Internet monitoring allows you to set up benchmarks, such as using your market leader’s accomplishments (the number or reach of their mentions) as a milestone to someday become the market-leader you aspire to be. Competitor analysis seems to be highly valuable from an HR point of view, too. By learning what lies behind your competitor’s successful actions, you can set the goal for talent acquisition in your own company. Similarly, paying attention to what competitor employees write online and watching their hiring actions may give you an idea of the current general spirits within the company. That way you can step up and overtake your business rival. 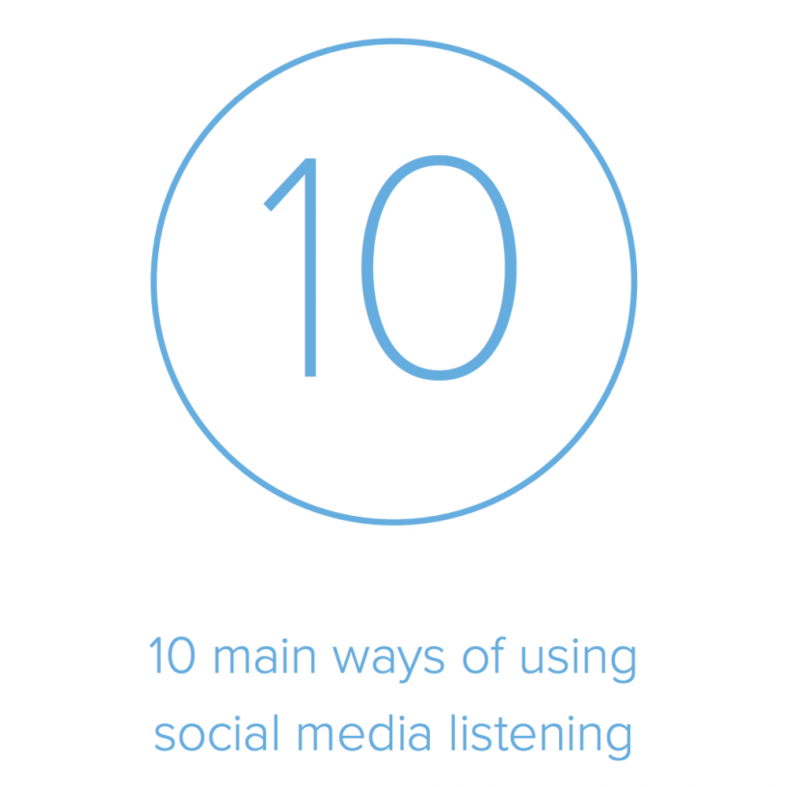 Social media listening may become the answer to the common marketing need of defining the target group, which means simply finding the right people to market to. People, who meet the specific social and demographic standards. Quantitative analysis of your audience mentions enables you to implement appropriate behavioural criteria such as lifestyle or interests. Free online statements are unbiased, which makes them worth much more than any brand-appropriate survey or questionnaire. It’s no secret that consumer insights are valuable, and can be used to plan marketing strategy suited to the real needs of each target group. Be open and respectful, because constructive feedback might be helpful in increasing the quality of your products or service. Promoting your brand online without elementary knowledge on your target is counter-productive. Online listening informs you which type of online communication channels best suits your market, because you can compare their popularity amongst your audience (counting the number of mentions by source), be it Facebook, Twitter, Instagram or a very specific internet forum. Besides simply tracking sources of discussions which are of some interest to your business, you can actually localize the most popular domains. The system collects data which informs you of how many of your existing or potential clients participate in a specific discussion, and its volume and reach. 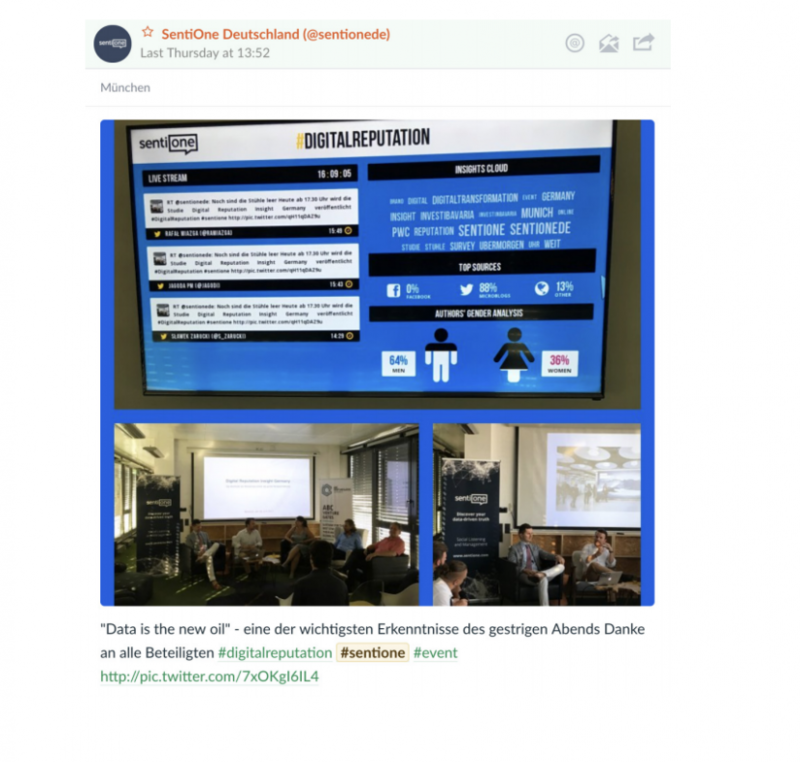 However, localizing the source of conversations is not enough – thanks to precise mention analysis, the internet monitoring tool predicts the author’s gender. This ability is not just based on the nickname (which can be misleading), but on specific natural language analysis, which happens to be more accurate. Marketing activities must be tailored to your audience’s needs. The approach used on teenagers on Twitter differs from that taken with a group of seniors on the forum. Each case is specific to a communication style and channel. But since you already know where people talk and about what, why not turn to them the right way? Online client relationship management processes are implemented in every company nowadays. It’s either based on language foundations or on key effectiveness rate. Setting up the communication form and direction becomes the essential feature in combining marketing activities. Considering the specific social media type is the answer to changing surroundings and adapting client relationship management to the existing reality. Analyse the language used by the audience and adjust communication style to their needs. It doesn’t matter if social media users speak directly to your brand or about it (outside the official channels), new trends call for reacting in real time. Participating in conversations on Facebook, Twitter, forums or newsgroups give your audience the feeling that your brand is always there where discussion on its subject arises. Online listening allows you to discover all content posted on the web. Clients, who previously wouldn’t have expected the brand to react to their post or opinion published online, now simply require the direct and individual approach, one-on-one communication. Consumers need to feel needed, that they belong to a social community and know that it’s worthwhile to engage in a brand’s actions. Inviting opinions and comments and replying to posts is getting more and more important to marketing. Tracking online discussions gives you the big picture, whether the audience is satisfied with your product and service or not. Therefore, the whole point of online listening is to cherish those who are enthusiast about your brand and to gain some new ones, given that mentions posted on forums and social media might be seen by tens, hundreds or even thousands of people. Those who observe the thread may also get involved in the conversation, make use of the tips and tricks or make up their mind about the brand based on online mentions. This means you need to take into consideration that your online marketing activities might influence more than just your Buyer Persona. Forming and building the relationship with your audience and acquiring new fans, clients and brand ambassadors is what you get with SentiOne. A great advantage of internet monitoring is the opportunity it gives to know others’ opinions. Even the best service and product might need some improvement. 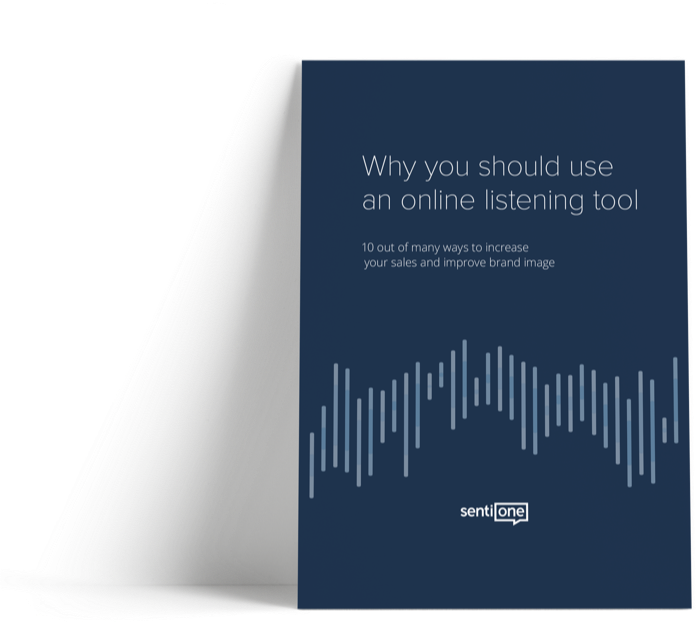 Online listening is the perfect way to gain valuable advice from users and clients. You can know the actual thoughts of your audience through honest and spontaneous online communication. This information is worth using to keep upgrading your offer. Quantitative analysis of online mentions provides you with consumer insights which means you become aware of your clients’ needs and understand them. You gain data-driven answers to questions requiring your audience’s motivations to use certain product or service and help to localize consumer intentions declared by the target group. Obviously, there are always some little details that even the best entrepreneur wouldn’t know about his product or service. Internet users might simply have a different view on your product and offer advice or suggest solutions that you can use to develop your company. What is more, with online listening you get the bigger picture of the market and trends. 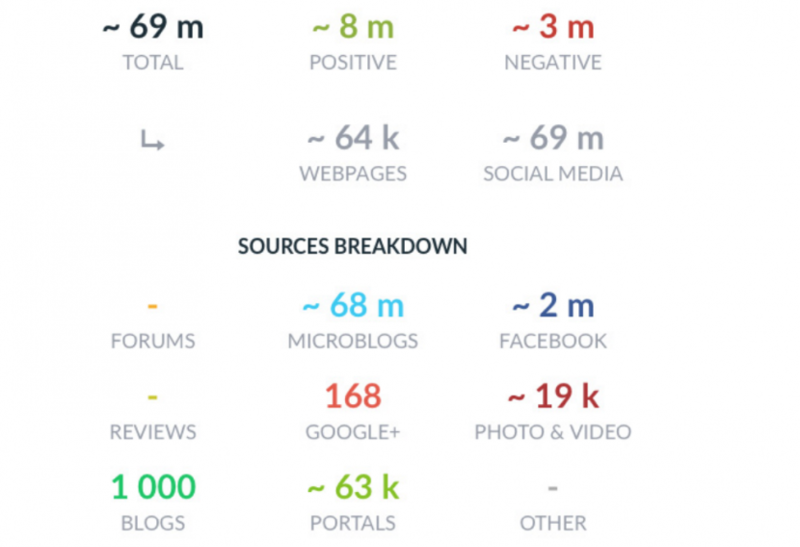 New media analysts, based on online mentions, find out what’s on top and what’s long gone (e.g. are Pokémon still in fashion?). Monitoring allows you not only to identify but also organize mentions, which might be an exceptional source of information for your company. System functionalities, such as tagging, let you scan opinions in real time or for selected periods only. You can check clients’ feedback, suggestions, the general feeling about your brand, you name it. Properly addressed consumer needs might be more profitable and build more awareness than expensive campaigns. Influencers are the most popular people online. Usually, they gain this position thanks to speaking loudly on specific subjects, and hopefully to the point. They become experts in their fields of endeavour so their opinions matter to a wide audience which translates to marked influence on consumer decisions and choices. For many entrepreneurs, there’s a big marketing opportunity in collaboration with key people that have substantial authority in online discussions about a brand. For this collaboration to happen, you need to localize these people in the first place. Internet monitoring allows you to find and reach influencers who are crucial to the market. 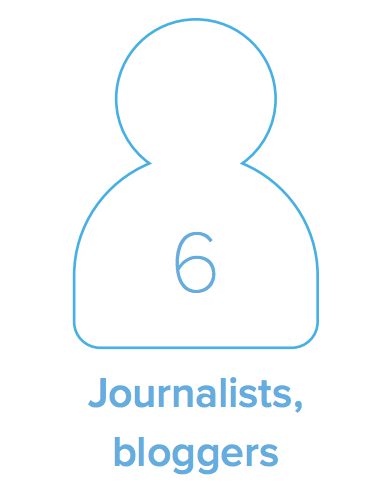 It’s worth knowing that these people are also consumers and engaged users of the product. Cooperating with them increases communication effectiveness of the brand. People who don’t work at your company are often considered more trustworthy by your target group. Their recommendations have, more often than not, far greater impact on buyers’ decisions than any advertisement or campaigns on the web. A review that is apparently objective spreads far better than paid content. That’s because trust is put in those who have authority, and their audience might be your target. 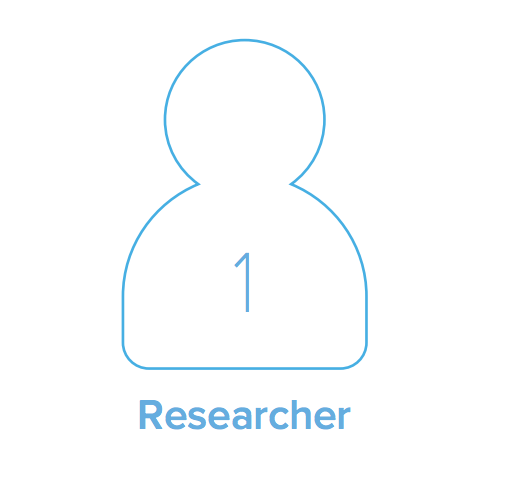 SentiOne’s algorithm estimates reach the number of interactions and sentiment of mentions, and, based on this data, generates who can be an influencer in a specific field. The system is capable of tracking online activities and, thanks to that, identifying key members of society surrounding your brand. 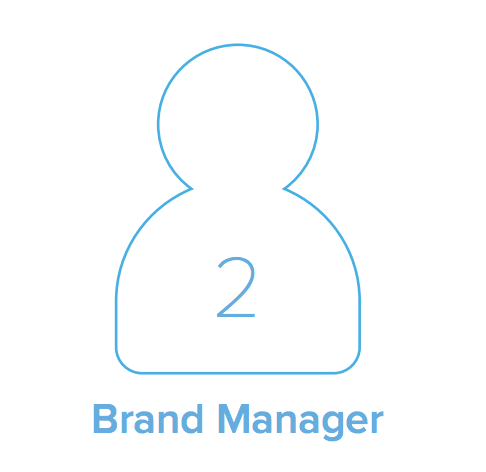 This may also become the way to spot potential brand ambassadors on various channels such as Facebook or Twitter. Time optimisation in relation to internet monitoring is multi-faceted. 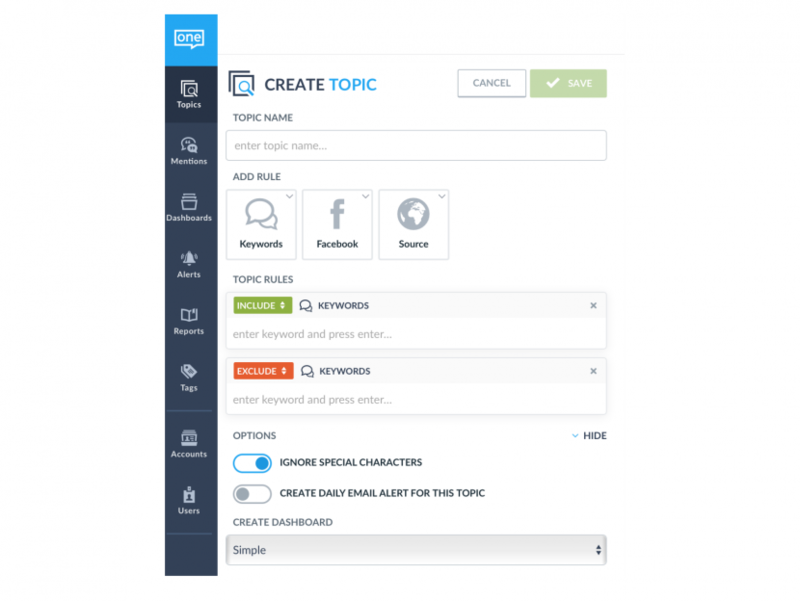 Firstly, proper set-up of the topic in the system saves marketers’ time because all the company-specific mentions are gathered in one place and analyzed automatically. This means optimisation in time-saving, by not searching the web for brand mentions. Secondly, if you already use an online listening tool but lack the time to log regularly, you can set up email alerts, either daily or weekly. There’s also the option to set up periodic reports that summarize selected periods of online mentions including chosen keywords (let it be your or competitor brand name). Thirdly, the system collecting mentions in real time gives marketers and sales or customer service departments countless opportunities to act immediately. 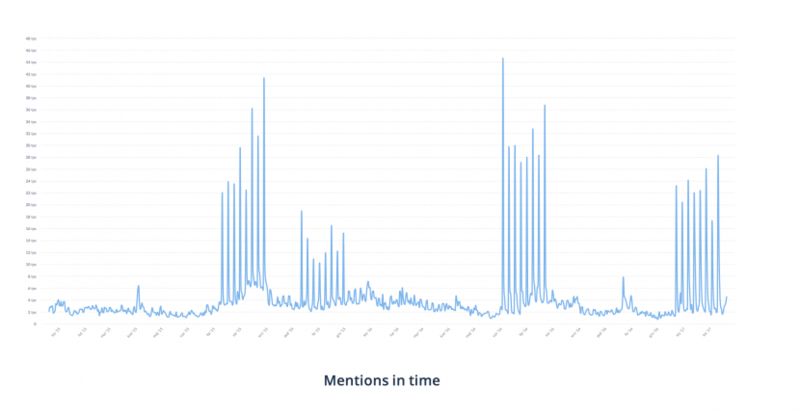 The chart analysis of mentions in time allows you to figure out which months, weeks or particular days of the week are the most popular with mentions in a selected market or to a specific brand. Besides, if you set up keywords properly and analyze mention dynamics, you may discover regularities applicable to the best time for marketing communication. Charts that picture mention dynamics in time give information on the exact time people speak online about some specific topics that are connected to your brand’s field. This information might be valuable especially to those who are responsible for social media communication in your company. By posting specific content at times when online conversations about your brand are usually the most eager, there’s a big chance the range of the message and natural growth of the number of page views will skyrocket. 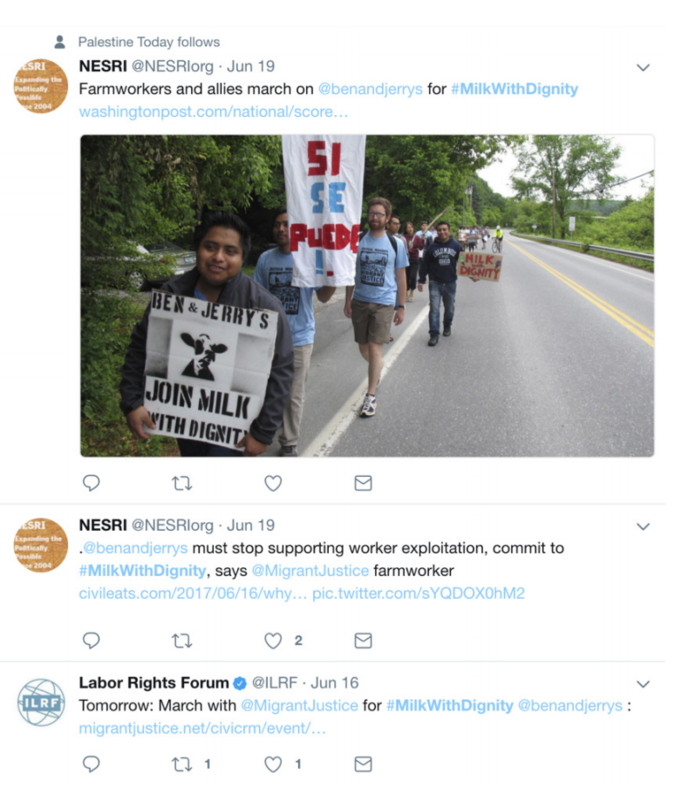 Publishing posts in this particular time slot means a likelihood of increased engagement and, as a result, broadening the organic reach of the news. Marketers would probably agree that it’s good to 10 have a clear voice in the field or become a forerunner of new trends in the market. That’s a piece of cake if you use internet monitoring wisely. But how to do so? For example, by using SentiOne as a scientific asset, a search engine to filter only those publications applicable to our scholar needs or those threads in online conversations that we want to become a part of. But that’s not all. If you go through the opinions posted online carefully enough, knowing what’s what in your field, and look closely at current situations in the company, you can predict what to expect in the next quarter or year. Therefore, nothing keeps you from getting ahead of your competitor’s online communication activities. Track new trends connected to new consumer needs and expectations, which are on the verge of a breakout so that you can upgrade your product or service right away. Armed with the conclusion of data analysis, marketers have the means to surprise or inspire their brand enthusiasts. It’s worthwhile creating connections through social media channels or the company blog. That being the case, online listening may be used to keep an eye on emerging trends and changes in the field and to action building your authority as a brand on the web. It is commonly said nowadays that content is king. Content marketing became a fool-proof way to spread brand awareness and attract interest. Publishing articles, posts and blogging demand a certain level of creativity. Thanks to online listening, you can collect cognitive data on any subject, saving you the time you would have spent surfing the web looking for valuable knowledge. You get straight to the relevant information and become capable of making data-driven decisions to prove your position in the market. Increasing sales is one of the main reasons entrepreneurs decide on internet monitoring in the first place. Good social selling strategy and skilfully guided online activities may bring more leads than even well prospering call centres. 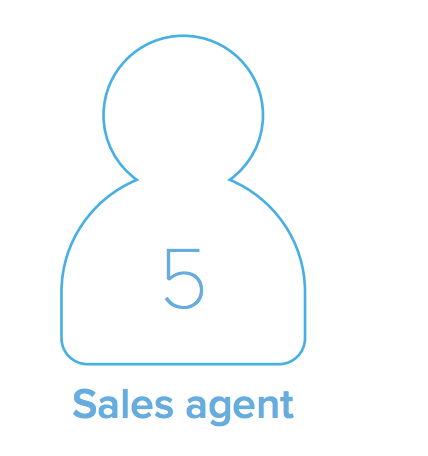 Finding potential clients and taking part in discussions with your target group is an excellent beginning of sales process. A direct approach based on a true relationship is considered one of the best means to convince the audience and determine their choices regarding your brand. Internet monitoring allows you to investigate how your social media communication affects selling leads. Since social media discussions are held in public and can be seen by everyone, you should choose your words wisely. Sellers see online listening potential in looking for key phrases that express the consumer intents. They find it an outstanding opportunity to casually present their offer while taking part in an online conversation. Building a sales funnel process always begins with stating the company’s needs, in this case regarding internet monitoring. What’s also necessary is to define the best places to publish your content. Reacting to internet users’ posts in real time gives you major selling potential, but also builds a positive brand image. Entrepreneurs today face an amazing opportunity to make good use of every chance by replying to clients’ issues without delay and providing the needed information. What is more, people responsible for social media sales take control of multiple channels and click through numerous pages Often they don’t have access to all their profiles in one complete solution, where they could explore all the threads that need their attention, or assess how many originate from blogs, forums or portals. SentiOne allows you to gather all leads in one place and answer from one platform. This time-saving method allows the sales agents to be ever present when his brand is mentioned. Chapter 12 Who needs internet monitoring? Users of online listening tools might be divided into a few groups. Representatives of each of them profit from internet monitoring and collect data in different ways, but all have the same goal: to build a strong and valued brand. Researchers using online monitoring can investigate what interests them the most by making good use of the analytic functionalities of the tool. However, marketing strategists basing on data collected through monitoring may recommend channels and tactics regarding planned marketing campaigns. Brand managers use periodic reports to measure the effects of ongoing campaigns by checking the number of mentions, reach of publications and, most of all, online brand reputation. 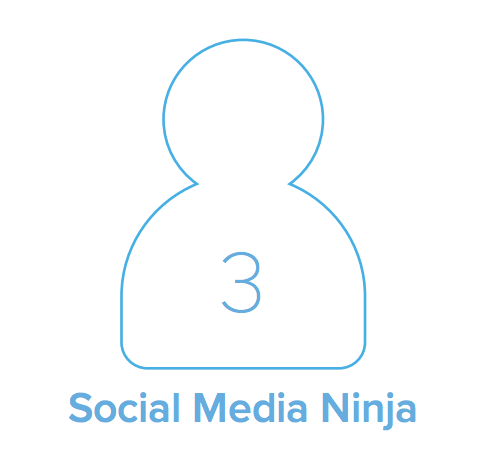 Social media Ninjas’, those who lead social media communications through multiple channels on behalf of companies, goals are to make good use of each possibility. Critical alerts from the monitoring tool allow them to take crises in hand and act in real time. 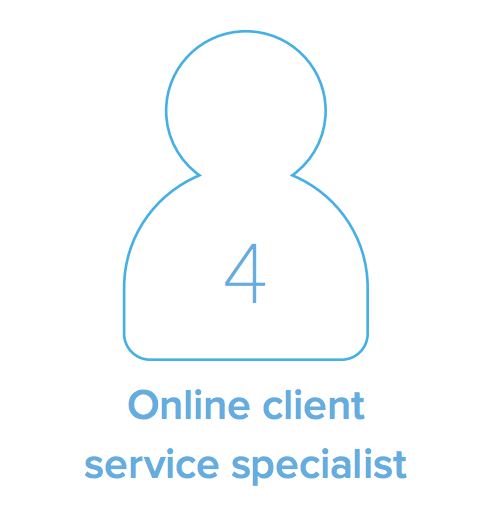 Online client service specialists – thanks to online listening – communicate with clients with no delays, answer questions, issues and doubts regarding the brand. They can reply online with proper solutions and solve any problems. Sales agents see the internet monitoring potential especially by finding key phrases that express customer intentions. By taking part in online conversations regarding their field or brand and products, they get the chance to present their offer. Journalists, bloggers, private detectives or scientists represent groups of professionals who may use internet monitoring to research. The opportunities that online listening gives are practically countless, and the ideas to increase its usability rise every day, which is why a few more suggestions might be added to the list above. 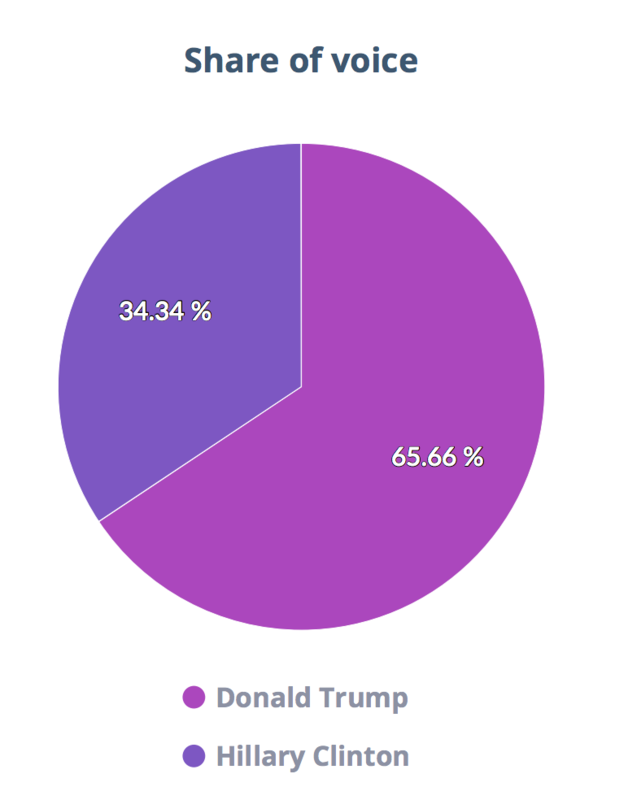 The market spreads because we live in a time where people’s voices shared online cannot be underestimated. SentiOne is the leading international social media listening company focused on Europe. The company was founded 5 years ago in Poland and has been growing ever since from being a local start-up into an international agency on the field, covering 26 countries in Europe at the moment, plus Russia. SentiOne has more than 100 employees now all across the world. 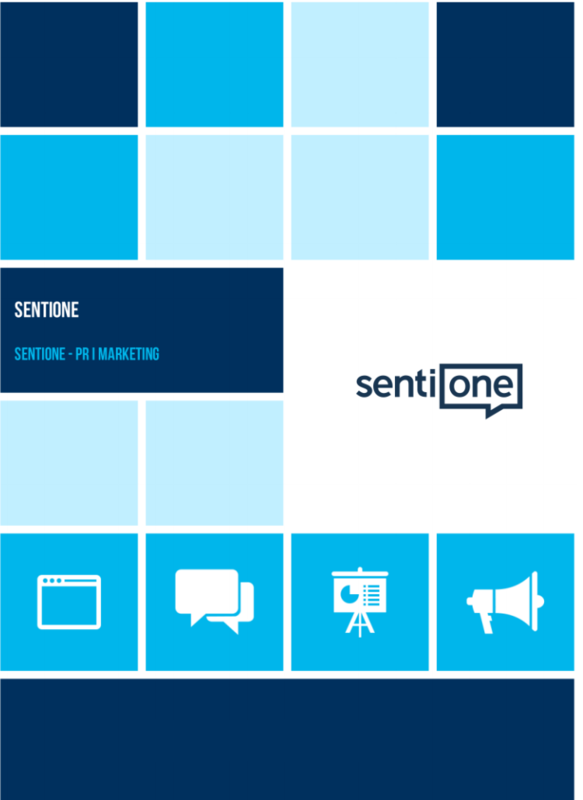 SentiOne is currently monitoring more than 15 billion sources worldwide, across 26 markets and works with more than 750 international brands, like Procter & Gamble, Unilever, Beiersdorf, Tesco, Starcom, Mindshare, Mediacom or Saatchi & Saatchi. With its multinational background and several subsidiaries all across Europe, the company’s goal is to provide valuable internet monitoring methods that answer the varying expectations of our data and info-driven society and economy.